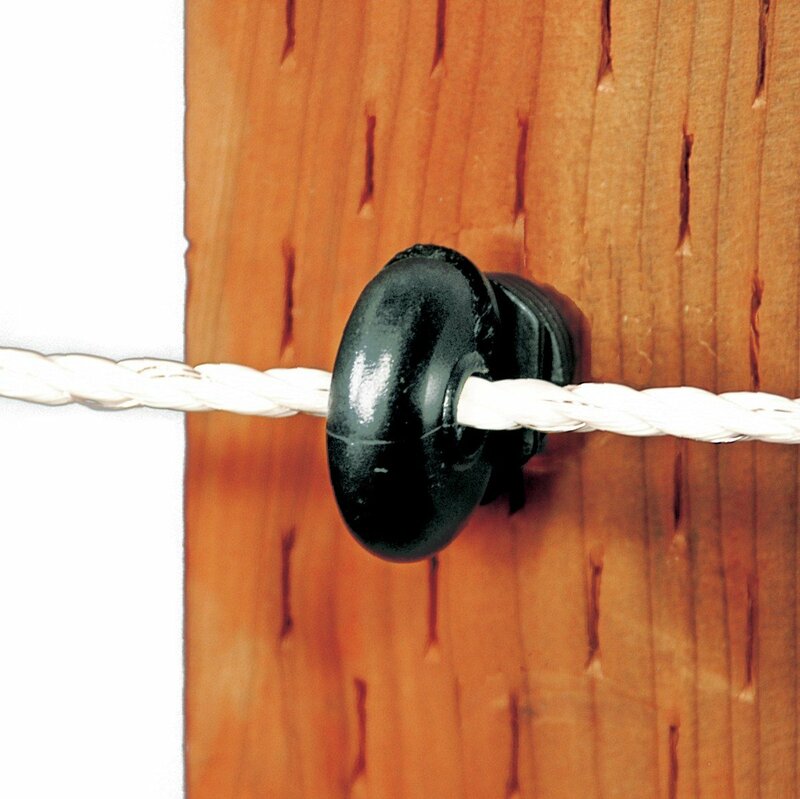 Made with a heavy screw base and a continuous, steel-reinforced ring molded into a thick, polyethylene body. 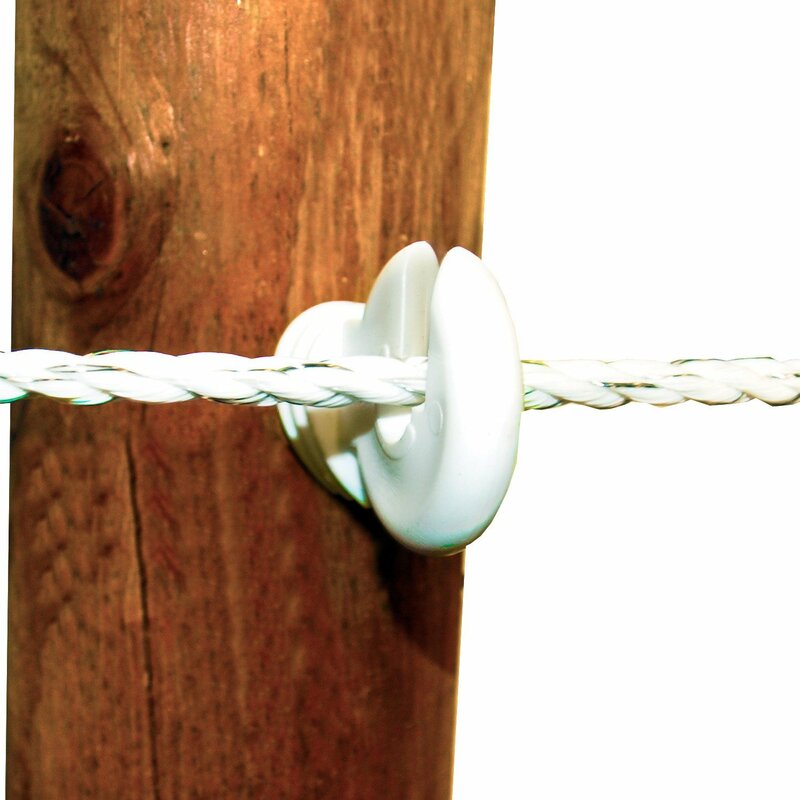 Designed to hold rope, polywire, high-tensile, and coated wire. 2" length.